The loss to dramatic art when Vivian Archer quit her career as an actress in the theatre was an unquestionable gain for the literary world, which has benefitted immeasurably from her indefatigable ability as a bookseller ever since. 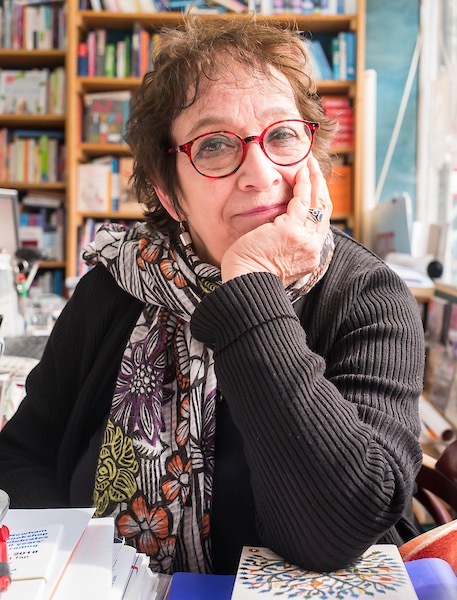 As a writer and publisher, I appreciate her canny knack at selling stacks of books and her shrewd devotion to her customers immensely. 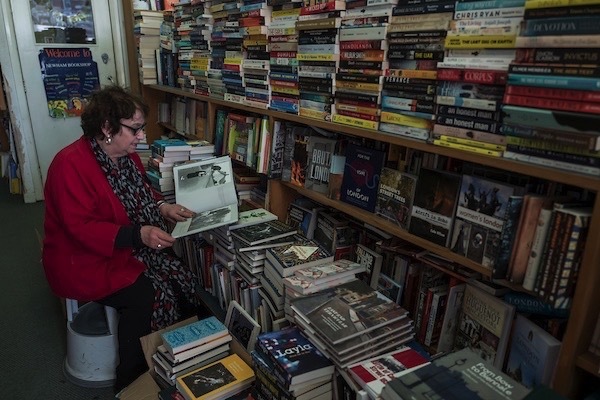 Thus it was that Photographer Andrew Baker & I were more than delighted to pay a visit to Newham Bookshop to join in their fortieth birthday celebrations recently. 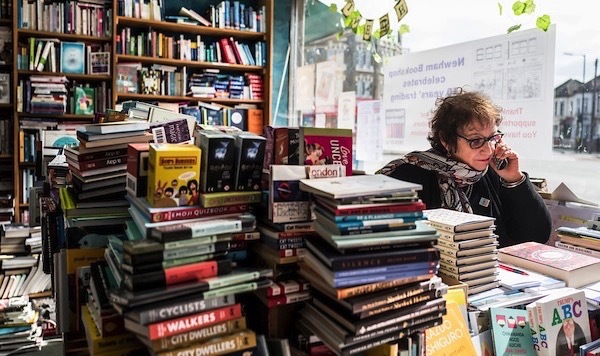 There is a connection between the theatre and a bookshop, I think – because it is about people connecting with people, but also the transition from the written to the spoken word. I love theatre and poetry and we have a big Theatre and Poetry section. Theatre helped me enormously by teaching me how to communicate and talk to people. 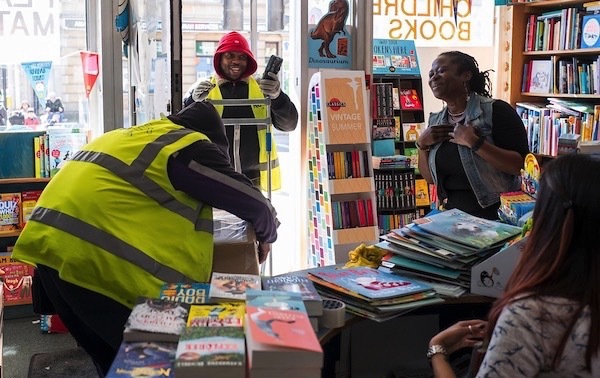 I worked at several other bookshops before I came to Newham Books thirty-one years ago. I worked at one in Green St round the corner, another in Norwich and another in Glasgow for several years. They were called the ‘Paperback Centres’ and were supported by Vanessa & Corin Redgrave as part of their political activities at the time. When the implosion of that movement came, somebody told me there was a job going here and I applied for that. 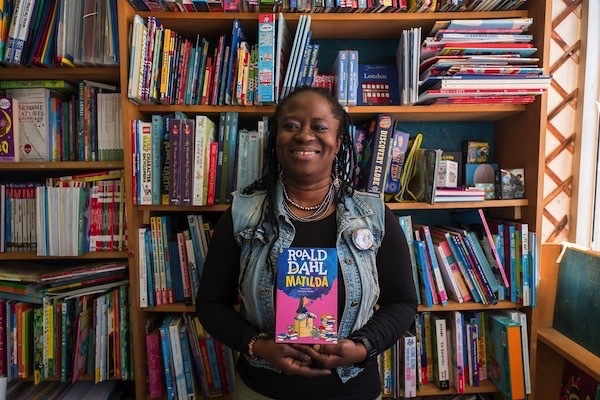 This bookshop was originally founded by a group of parents and today it is a non-profit-making organisation owned by an educational charity. 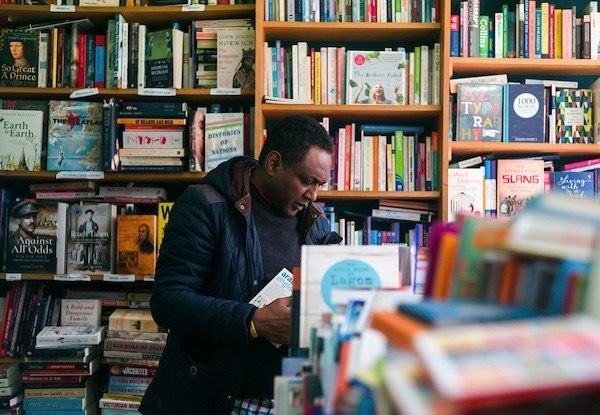 It was founded as a community bookshop where everyone could feel comfortable walking into it and that for me is very important because we have customers with many different needs. Obviously, it has changed a lot as the area has changed over the last thirty years and we can always tell who has moved into Newham recently by the dictionaries we sell. When I first started, it was Bengali and Hindu, but they are into the second and third generation now and it is all Eastern European languages, plus Portuguese and French. At the start, I listened for a year or two to what people wanted and then I changed the nature of what we stock. There are certain areas that are really important to me, derived from listening to customers: Local History, Politics and Poetry. 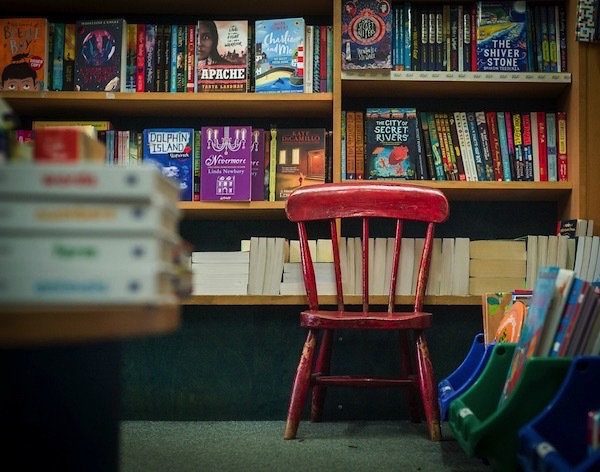 The major change over the last thirty one years has been the growing competition from supermarkets and online booksellers. They have monopolised the sales of bestsellers by discounting, whereas when I first started there was the Net Book Agreement which set the prices at which books could be sold. We all sold at the same price and you just had to be a good bookshop and customers would come to you. It’s really sad that we lost that because Germany and France still have it and their booksellers are not struggling in the way they are in this country. So we have had to look at things differently. You have to be proactive. We go into schools and do book stalls and we take authors into schools too. This is still a poor area and there are many children who have never owned a book. As part of World Book Day, they get a voucher from the school to choose a book for free and, for a lot of children, that is their first book. At the end of each term, head teachers bring children who have done well here and they are allowed to choose a book. Then they come back to the shop with their parents. 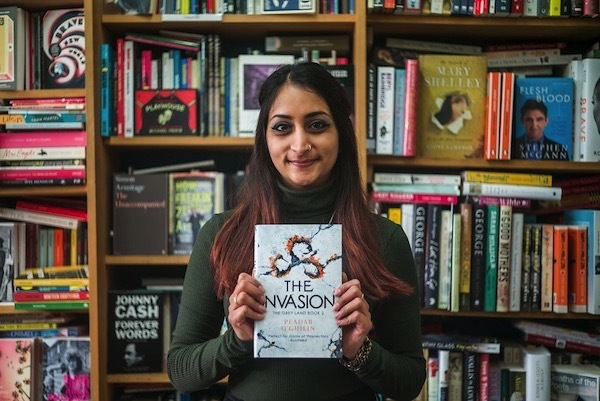 Over the years, we have organised a lot of readings and we find they are very important in championing new authors and widening the range of people who might come to a literary event, so I am very proud of that. We have very many long-term customers who are very loyal, particularly for Local History which is just huge for us. Monica, one of our customers, bought her books here while was training to be a nurse and when she got her degree she brought us a graduation photo. We advised her as best we could and she felt we had been instrumental in her getting her degree, so we display her photo in the shop. She works at the Royal London Hospital in Whitechapel now and she’s very senior. We have a lot of customers who remember us in that way. When the West Ham ground was across the road, it was rammed here on a Saturday afternoon with football fans before and after the match. You couldn’t move in the shop for about two hours and we always did big signing sessions with footballers like Geoff Hurst and Trevor Brooking. Five hundred people came for Clive Best last year. 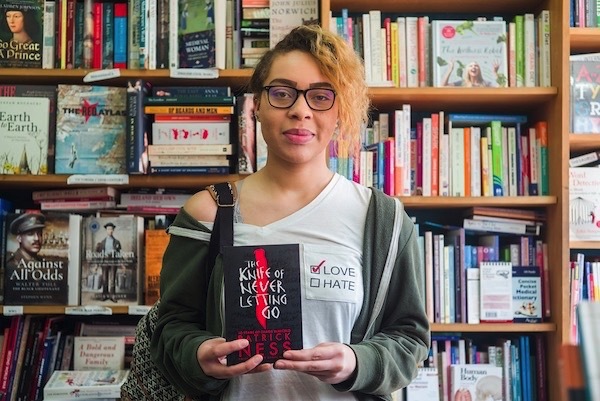 Happy Birthday to Newham Book Shop! 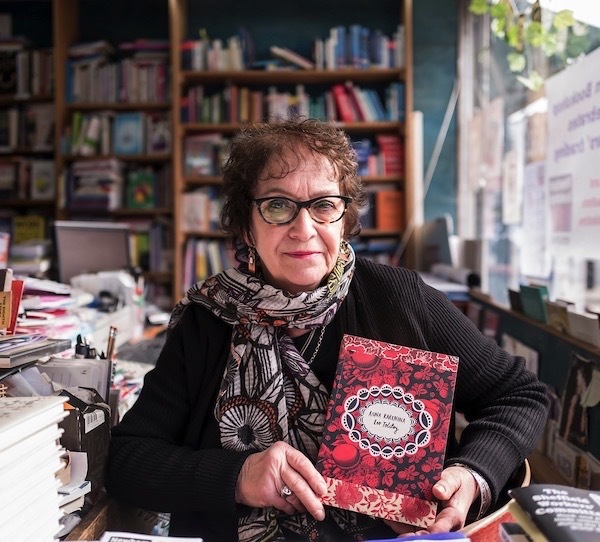 I am privileged to have known this shop and Vivian herself for some years now and can truly say that along with Spitalfields Life it has enriched my life as my wife and I have attended many events and listened to many authors talking about their work in many various locations through their encouragement. As one of those West Ham supporters who used to cross Barking Road on my way to Upton Park my afternoon was always made better if I caught sight of Vivian in the window and even more if she saw me and gave a wave. It is one of the few things I miss about the old ground. The bookshop is a pleasure to visit because of the nature of the displays as described above by The Gentle Author. I have made many surprise finds there. Long may they run! scuffed red-painted children’s chair, waiting for some young reader. I was a goner. Here’s to libraries, book shops, USED book shops (don’t get me started), programs for free books for kids, to beautiful women of the certain age, to the joy of HOLDING a real book, to personal libraries and archives, and the endless journeys that we can take via reading. And here’s looking at you, GA. Happy Birthday, long may you thrive! A favourite book? Wow! What a difficult question to answer. A book to leave a path within that I didn’t want to end, or to make me shake with laughter (hopefully not in public). Hmmm. Excellent news when bookshops are closing everywhere. I live the other side of London but would be a customer if I lived nearer. Vivian – congratulations on celebrating 40 years! You have an amazing bookshop which I enjoyed visiting once. 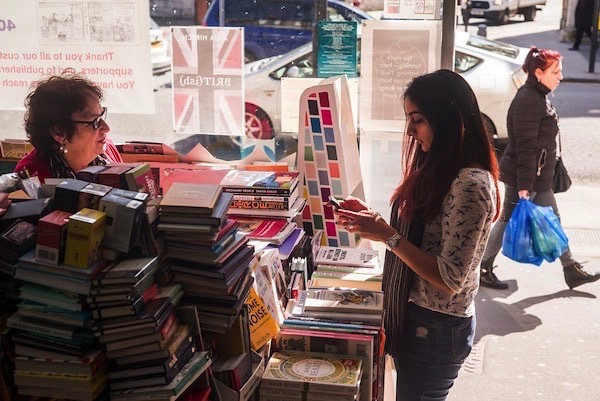 “What is your favourite book?” is a question that booksellers are always being asked. My reply is always the same ‘ Riddle of the Sands’ by Erskine Childers, it takes some beating in my view and it is the only book that he ever wrote I believe. 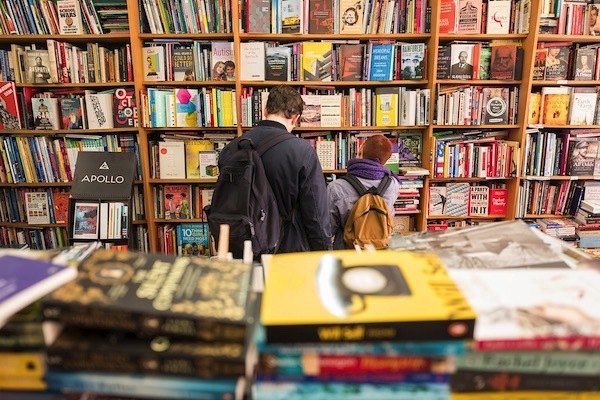 And well done to all other booksellers who are still in business, it is hard work but very rewarding as most, if not quite all, customers are delightful and we learn so much from them about their own special interests, I find that a real bonus. 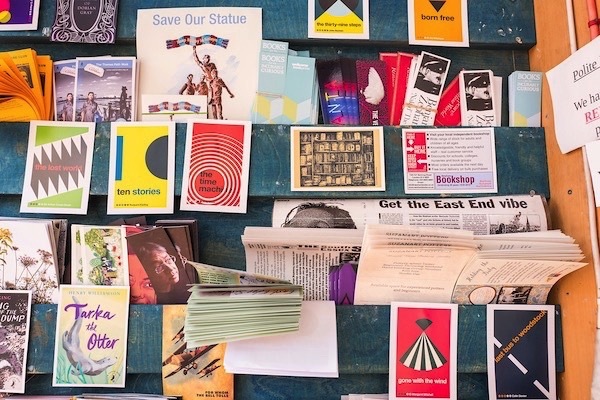 The spirit of 84 Charing Cross Road lives on. 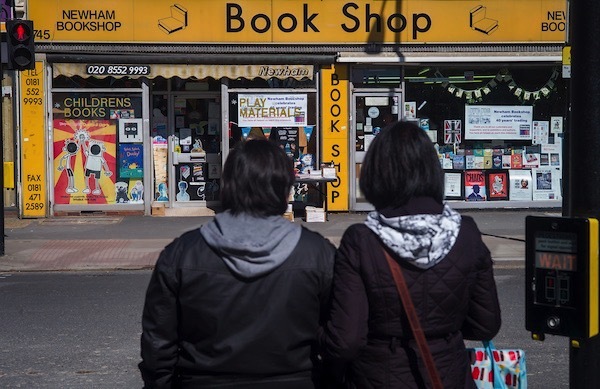 Great to see that Newham has a bookshop! 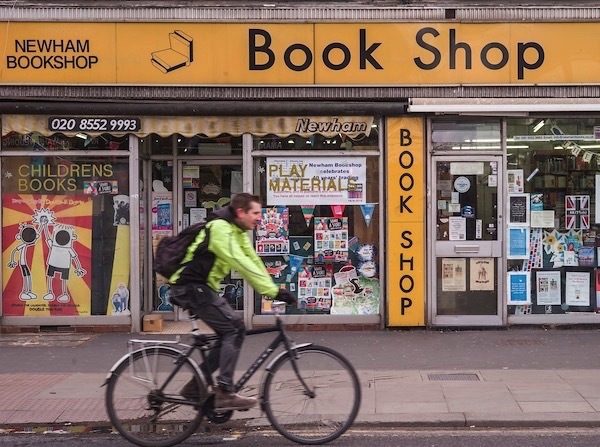 I was born and brought up in Plaistow, and as a boy there was no bookshop nearer than central London. All my (extensive) reading was from libraries, mainly Claughton Road library, a little library housed in a former air-raid shelter (now demolished). I have lived in the north since 1972, but have been a customer of bookshops all my life, as my groaning bookshelves will attest. Long may Vivian and Newham bookshop continue.